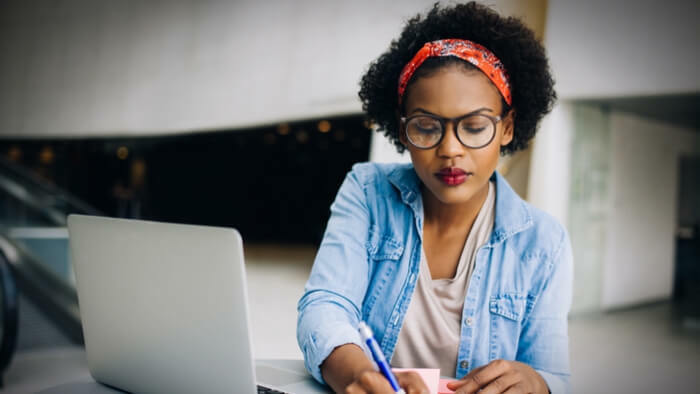 • My Social Good News spreads the word about JPMorgan Chase’s big investment in women tech entrepreneurs of color to the tune of $1 million: This will help incubate 40 startups, identify gaps in venture capital and launch an education initiative. • This money should inspire other donors to ask themselves: What can we do to support minority women in tech? This is an underserved talent pipeline. • There are other ways to narrow the gender gap in philanthropy. Here’s another article that could serve as a guide. JPMorgan Chase today announced a $1 million investment to help Black and Hispanic women-led startups thrive. This innovative, data-driven investment to build and grow underserved entrepreneurs is part of the firm’s $150 million Small Business Forward initiative to provide flexible financing and other support to underserved women, minority and veteran-owned small businesses and applying what the firm has learned from small business investments in other communities. Read the source article about JP Morgan Chase’s investment in women tech entrepreneurs of color at My Social Good News. Giving Compass' Take: • Gayle Peterson explains how the Deliberate Leadership framework can help impact investors gather valuable community feedback. • How can funders and investors help to increase the use of feedback tools? • Learn about using feedback to stay on course. Why do many impact investors, who seek social, environmental, and economic returns on patient timelines, park customer insight at the door when they want to achieve multiple bottom lines? There are plenty of examples of impact investors consulting communities and gathering feedback prior to project design and implementation. To do that work they’re using approaches and tools like embedding volunteers, the Deliberate Leadership framework, and the United Nation’s human security framework. Beyond working with deeply embedded community members, impact investors can get a sense of community needs via the Deliberate Leadership framework, which puts investee communities at the center of investment due diligence and builds investment strategy from the ground up. The framework involves: Mapping community partners and following up through surveys, focus groups, and conversations to build a local strategy that incorporates feedback throughout the investment process from entry to exit. Listening to divergent viewpoints and building collaborations to reflect these different perspectives, however uncomfortable the process. Building empathy among investors for the people and communities their investments support. Active, iterative community feedback anchors this framework. While the power and utility of such feedback is often acknowledged, it remains the exception and not the rule. Read the full article about the Deliberate Leadership framework by Gayle Peterson at Stanford Social Innovation Review.